Gorgeous recently updated home, Kitchen updated April 2019 with granite countertops, glass block backsplash, stainless appliances, painted cabinets, Master Bathroom updated March 2019, frameless shower, fixtures, quartz countertops, framed mirrors, tile flooring, paint, carpet in Master, paint in hall bath, framed mirrors, paint in living area, home is in excellent condition with an isolated Master, three additional good sized Bedrooms with excellent storage. Home has hidden treasures in a great sized laundry room and excellent pantry, great for your Costco run! 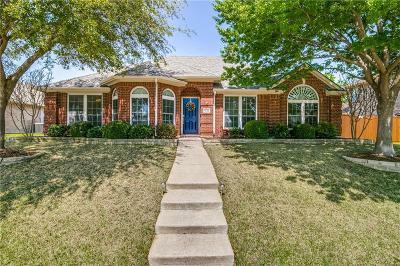 You must come see this wonderful One Story Home!